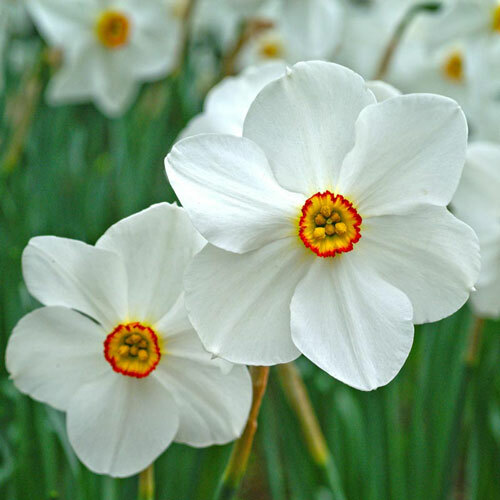 With so many different varieties available, the only trouble daffodil lovers have is choosing their favorite one. 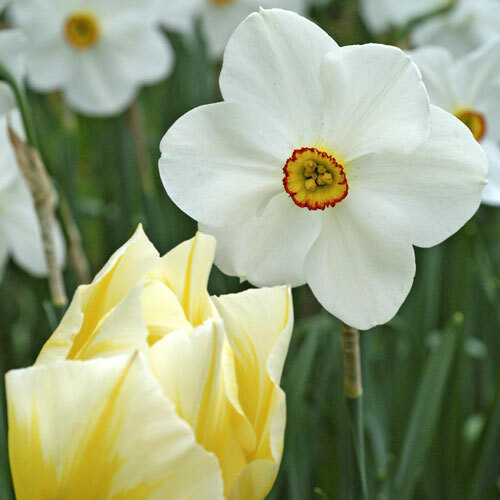 From ivory white to classic yellow and even rich pink, each and every daffodil boasts its own unique color and beauty for you to enjoy in the sunny springtime landscape. You'll find many that emit a lovely fragrance as well. 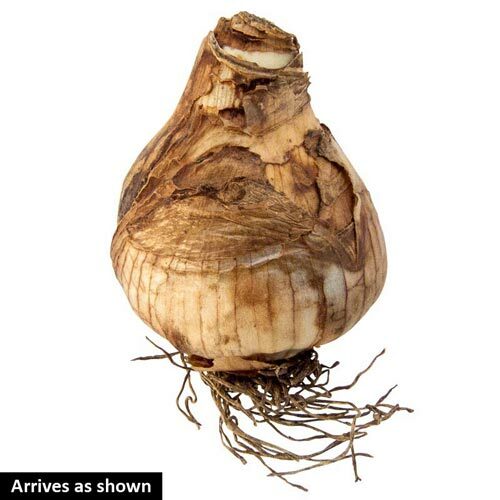 Long lasting in the garden and vase, daffodils are often the first blooms to appear early in the season. They are easy to grow, require little to no maintenance, and most are deer resistant, too. Planting InstructionsPlant 6" deep with pointed side up. PruningDo not remove foliage until after it has died back. 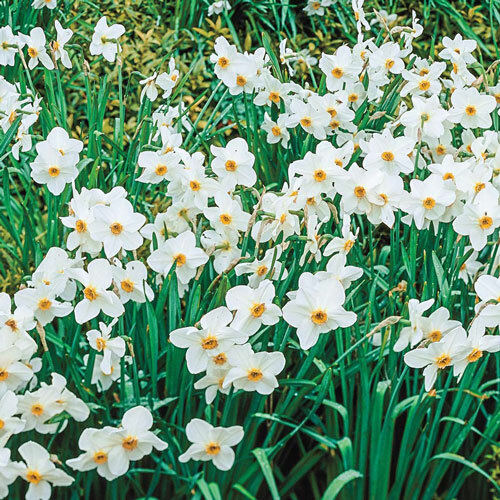 Unique CharactersticsDelicate, romantically fragrant blooms intrigue with their unusual shape and coloration. The small but unique yellow cup is offset by a green throat and an edging of orange-red. Surrounding pristine white petals provide an artistic complement. Naturalizes like a dream.